In case you’ve missed this trend, old radios are in. People are buying old transistor sets and even older tube sets for $100s of dollars. Our good friends Jami and Andrew recently bought a tube radio from a shop in upstate New York and placed it in their foyer. I saw it at a recent party and tucked the idea of having one in our house into the back of my brain. Then, in one of those intersections of life, I saw this picture of my childhood bedroom. 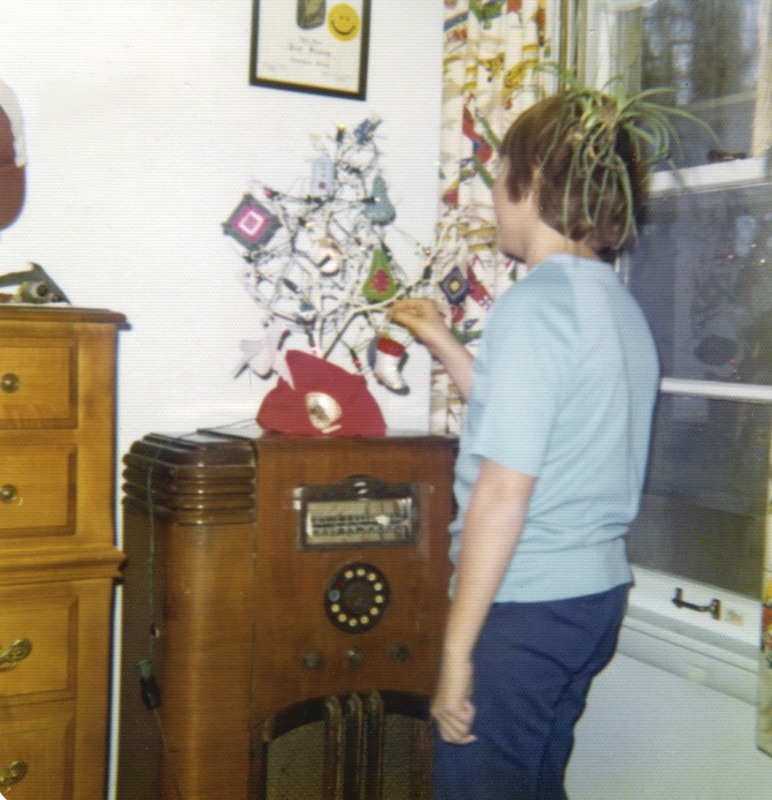 Yes, that’s me, decorating my cool-for-1974 white Christmas tree. And the tree is sitting on an old tube radio! So, for my birthday this year, I asked my parents if I could have the radio that was still sitting in their basement. My mom was only too happy to part with it, and so they brought it up with them when they joined the Birthday Breakfast. They also brought a box full of tubes, with the idea that I could get the radio working again by replacing some of the tubes. In one of life’s little ironies, after going through all 53 tubes and documenting them, none fit the radio. This is a perfect example of the tradition my dad has for never throwing anything away. He has the tubes, but not the stereos or TVs that use them. We live in a great time, when you can get answers to anything almost instantly. 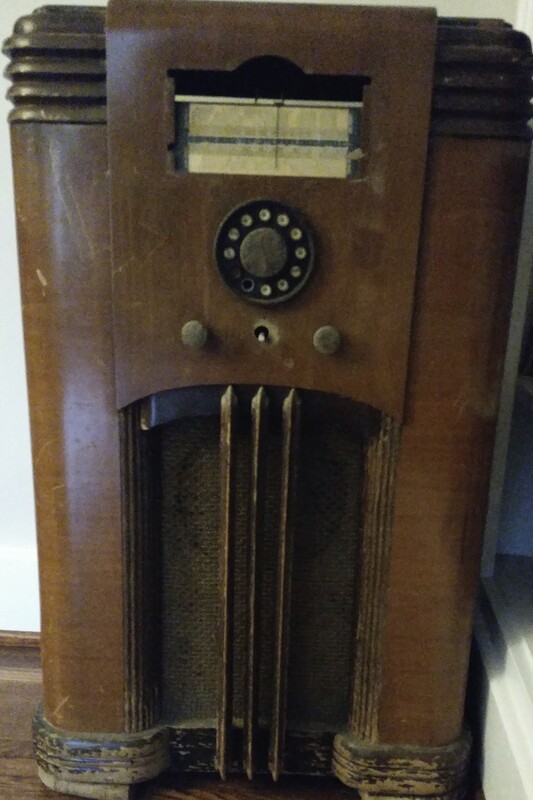 In a matter of minutes, I learned that the radio was a Sears Roebuck Silvertone 4789 from 1937. Cool. 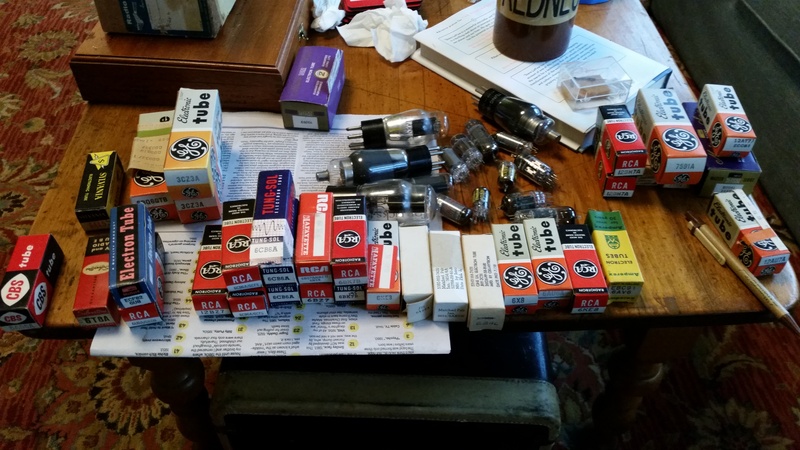 Then I was able to find even more things out about it, including tubes types, wattage, and frequencies. But where can you find tubes these days? I remember going to stores with my dad, using the tube testers to figure out which tubes had gone wonky on us before investing in new ones. 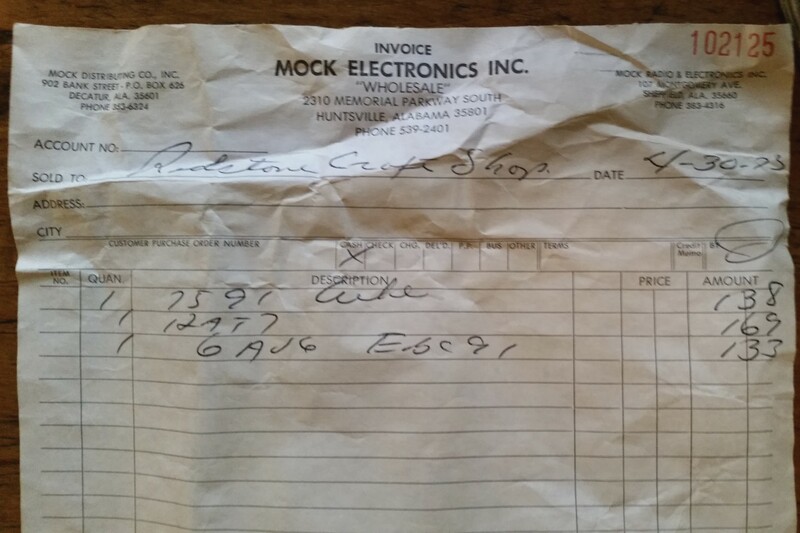 Thanks to a receipt in the box of tubes, I now have documentation of one those trips to Mock Electronics, one of those dusty stores full of switches, batteries, radios, wire, and of course, tubes, that have gone onto retail heaven (or hell, depending on your point of view). Before I replacing the tubes, I did my usual “take it apart, clean it, and put it back together” routine. However, after turning it on and getting no sound or static, I resign myself to finding new tubes. As you can guess, there are plenty of places on the internet selling tubes. Almost all the tubes available are New Old Stock, meaning they are new but have been sitting around for 60-80 years. Good thing tubes don’t deteriorate! Pricing was reasonable except for the ones in demand for tube guitar amps. All those folks rocking their older Fender tube amps from the 60s have driven up the prices for many pre-amp and main output tubes. I spent about $70 buying all the tubes I needed, and I hastily put them in this weekend. 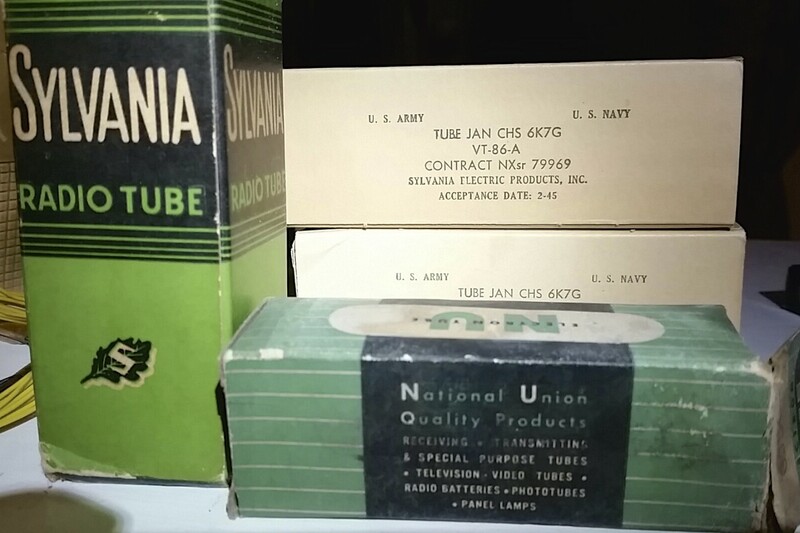 It was a trip to take these tubes out of the old boxes, especially the ones made for the Military in 1945. After anxiously turning it on again, I was able to tune in some AM stations, but there was absolutely nothing on the Shortwave band. There was also significant humming and noise. Bummer. 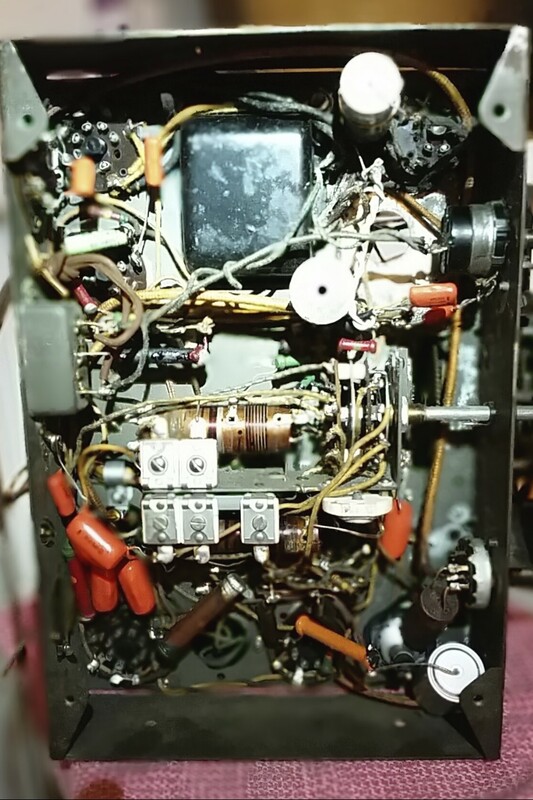 I then spent much of my time educating myself on restoring old radios. It is a widely-practiced hobby, and after reading some great how-to guides, I actually entertained whipping out my soldering iron and starting to replace all the capacitors, resistors, and wiring that were suspect after 77 years. I took the chassis out and turned it over to see what it would take. If I was single and childless, this would be a reasonable project. Since I am neither, the ability to have space and time to do such meticulous work is simply non-existent. So back to the handy internet. 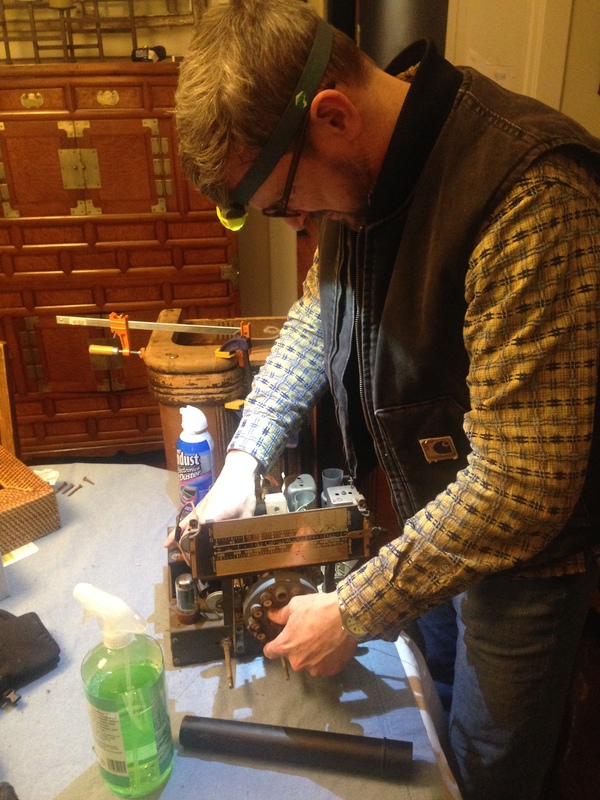 I found a site called MusicCityVintageRadioClub and they have a lovely list of people in the area that do restorations. When I scanned the list, I saw a name that seems familiar. Looking him up in my contacts revealed that yes, I do know him and met him several times when I first moved to Nashville. We haven’t finalized anything yet, but hopefully he’ll be able to execute a quick and reasonable restoration and soon I’ll have Evie trying to find shortwave stations from Europe and South America, just like I did when I was a kid. My lovely bride will be taking care of refinishing the cabinet. It is in good shape overall, but a little TLC and new lacquer will hopefully make this a centerpiece of our living room. I promise to put the final results as another blog post, complete with video so you can hear the actual sound of a 70 year old radio. Thanks dad for keeping it in the basement all these years!